CMI Insurance policies are designed to be simple, fast and fit the needs your business has from auto to vision, and everything in-between. As a business we understand you want coverage for things outside your control, with the bottom line and your employees interest at heart. 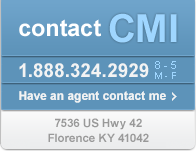 Let our professional agents and staff help your business find what's right for your company and employees.